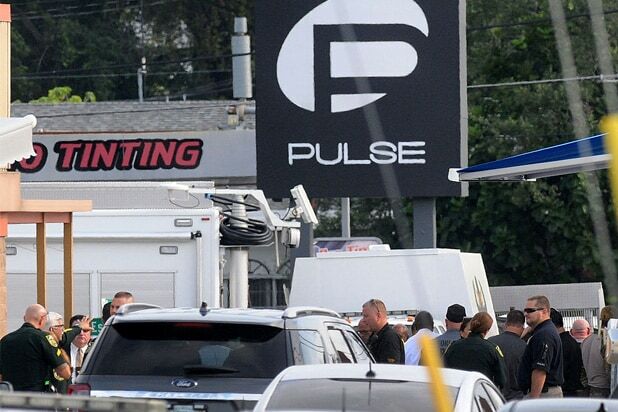 49 people were killed and another 53 injured Saturday night when a gunman opened fire in an Orlando nightclub called Pulse that serves a mostly gay clientele. Authorities told ABC News that Mateen had been “on the radar” of U.S. agencies but was not the subject of any specific investigation. The shooting began around 2 a.m. ET, Mina said, and an off-duty Orlando officer working at the club was the first to respond. That officer exchanged gunfire outside the club, after which Mateen entered the establishment. More police arrived and broke down a door with an armored vehicle, helping about 30 club patrons escape, Mina said. Officers then shot and killed Mateen. At least nine officers were involved in the shootout including one who sustained an eye injury when a bullet hit his Kevlar helmet. The mass killing took place just one day after another tragic shooting in Orlando, when gunman Kevin Loibl shot and killed 22-year-old singer and former “The Voice” contestant Christina Grimmie. That shooting followed a concert at the Plaza Live Theatre, which is a few miles from Pulse.